I am interested in the receptors and signalling pathways that mediate the actions of insulin and IGFs, particularly molecular mechanisms underlying insulin/IGF signalling specificity and regulatory pathways impacting on insulin/IGF sensitivity. Latterly my group worked on aspects of receptor structure, particularly determinants of ligand binding affinity and specificity, and the regulatory effects of insulin/IGFs on gene transcription. 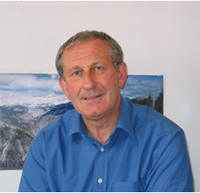 I formally retired from my University position in September 2014 but retain active research interests in collaboration with colleagues: Professor Robert Semple and Dr Gemma Brierley (Therapeutic applications of anti-insulin receptor antibodies, funded by Diabetes UK) and Professor Susan Ozanne (Early life programming of insulin action, funded by BBSRC). Groeneveld, M.P., Brierley, G.V., Rocha, N.M., Siddle, K. & Semple, R.K. (2016) Acute knockdown of the insulin receptor or its substrates Irs1 and 2 in 3T3-L1 adipocytes suppresses adiponectin production. Sci Rep, 6:21105. PMID: 26888756. PMCID: PMC4758029. Martin-Gronert MS, Fernandez-Twinn DS, Bushell M, Siddle K, Ozanne SE. (2016) Cell-autonomous programming of rat adipose tissue insulin signalling proteins by maternal nutrition. Diabetologia, 59(6): 1266-75. PMID: 26965244. PMCID: PMC4861755. Siddle, K. (2012) Molecular basis of signaling specificity of insulin and IGF receptors: neglected corners and recent advances. Front Endocrinol, 3:34. PMID: 22649417.PMCID: PMC3355962.